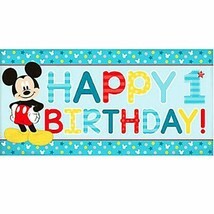 Mickey Mouse Fun to be one 65in wide x 33 1/2in tall Plastic Reuseable Throw a fun celebration for the birthday boy and his pals using a 1st Birthday Mickey Mouse Banner! 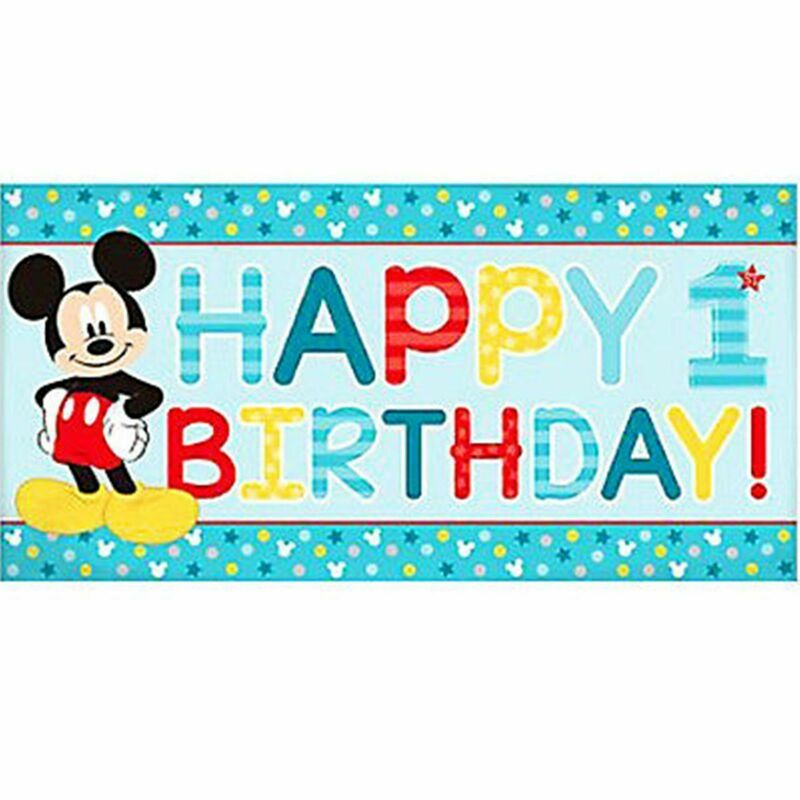 This plastic banner features Mickey Mouse standing next to a "Happy 1st Birthday" headline, plus a blue border on the top and bottom. 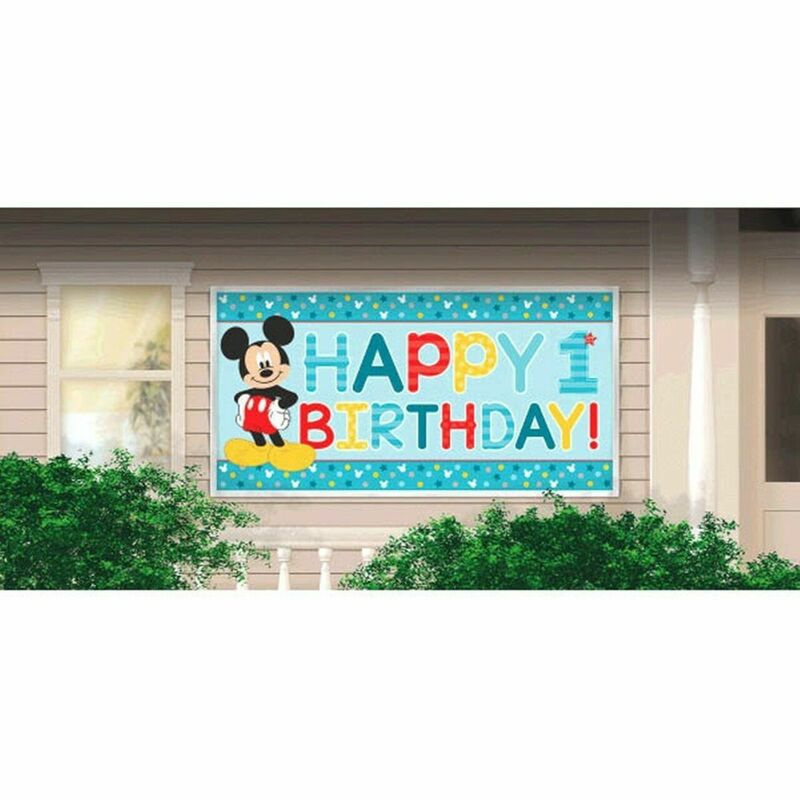 Use this Mickey Mouse first birthday banner indoors as part of your Mickey Mouse first birthday party decorations or hang it up outside to greet party guests! 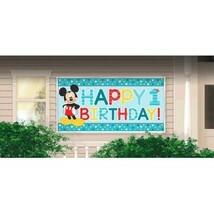 For a sweet and stylish first birthday, hang up a 1st Birthday Mickey Mouse Banner!